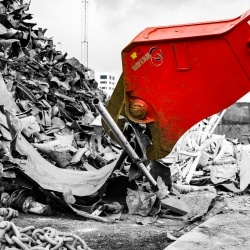 8.5 tonne scrap shear on Hitachi excavator yields new advantages for ship demolition industry. 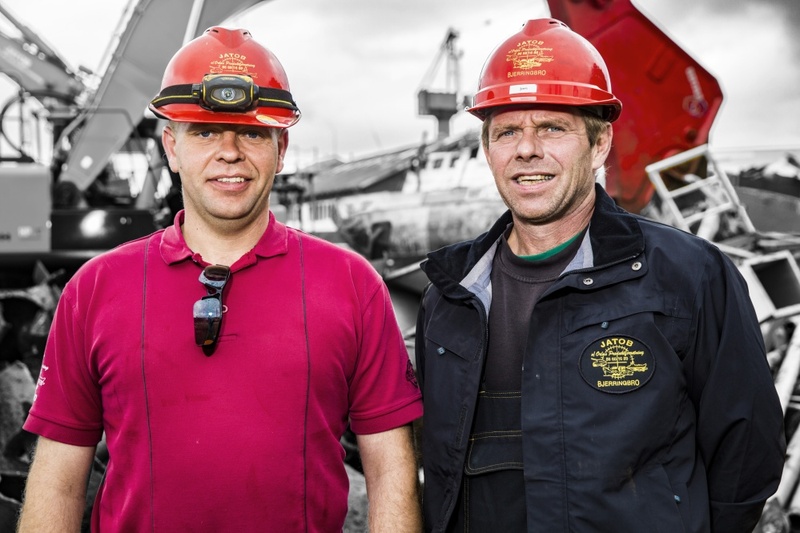 Business is booming in the Frederikshavn harbour (Denmark), where Jatob ApS is busy scrapping a large pontoon that used to transport bulky objects to offshore rigs in the North Sea. “We opted for a new Rotar scrap shear because we believe the new equipment will yield better results than our old shear. 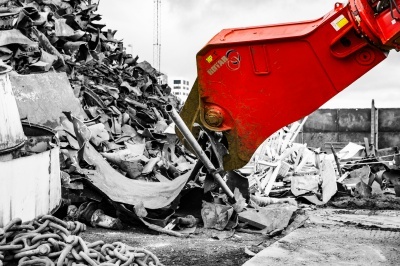 It’s not the cheapest model on the market, but we know that this attachment will last for a very long time. 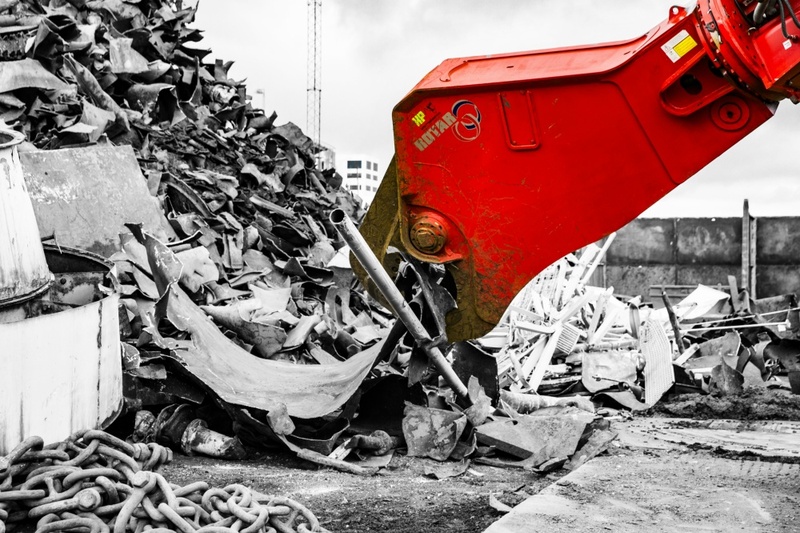 Additionally, the application of new technologies means that the scrap shear’s diesel consumption has been significantly decreased.”, says Jan Rasmussen of the Jatob company. Jatob’s excavator operators support the objective of working “green”. 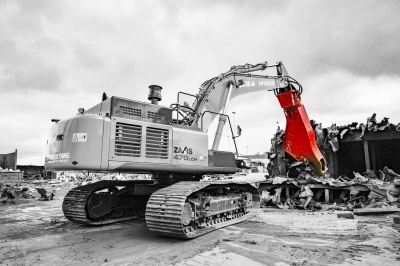 Their reports and measurements show that the Hitachi/Rotar combination, assuming a daily operating time of 10 hours, will save about € 2,700/month in diesel costs, which amounts to savings between 15 and 20%. 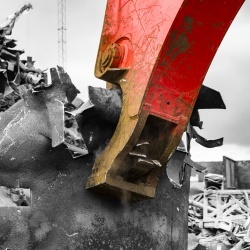 With the larger valves and hoses of its hydraulic circuit, the oil flows through the scrap shear with less resistance and less counter-pressure. Because of this, the oil temperature is approximately 20°C lower than in other machines, leading to large savings. 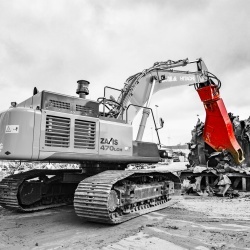 This Rotar scrap shear also requires less maintenance because the seals and other components of the hydraulic system are less exposed to intense heat. The Rotar RSS 100 weighs in at 8.5 metric ton, can be boom- or stick mounted and is available in a non-rotating version. The fully encapsulating nose blades, strong jaw design, double hose connections to handle the big oil volumes, extremely strong main pivot group and integrated speedvalve give you the competitive edge. 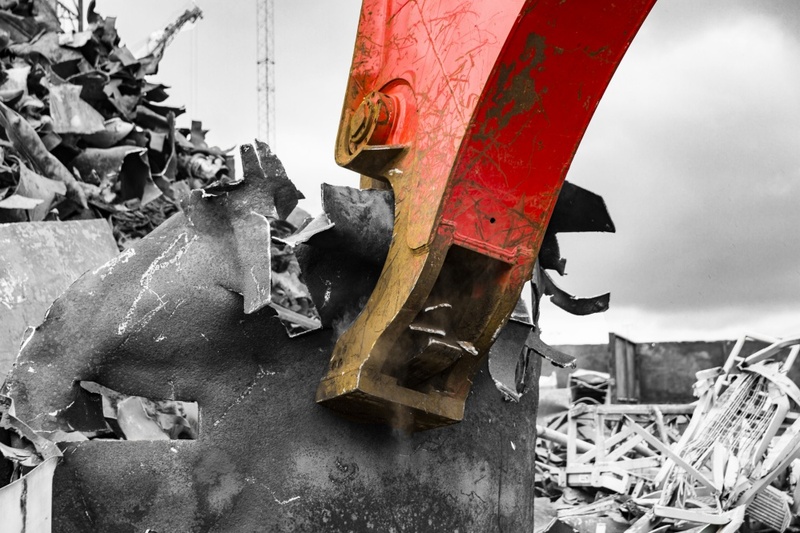 With short cycle times and a great appetite, you are ensured to cut tons of steel on a daily basis, for a long period of time.